Online article marketing is one of the common marketing strategies used by many people to market their blog or online businesses. 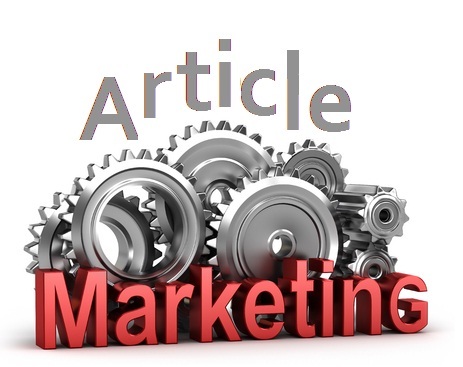 Article marketing is cost-effective and simple to use. It basically entails writing an article about anything you want to publicize or promote: yourself, your business, or your product and advertise it online. Here are tips to guide you on how to effectively use article marketing to boost your online business. Whether you’re a small or big business owner, article writing can be an essential tool for your online marketing. But your article has to be useful and of high quality. It has to be unique, fresh, and 100% original to captivate your readers and/or customers. Also, a high quality article must be informative and educational to your prospective customers. When writing an article for your business, your readers should be the target of your writing. Focus on them. Tell them what they need to know about your product and do it in a way that answers their most critical question about your business. Don’t allow your web site become bored with irrelevant content that don’t mean anything to your prospective customers; draft a powerful article about your business for your website visitors. If your business is about selling a Dolce & Gabanna clothing line; for example, your article content must not only focus on clothing, it should specifically centers on D & G designer. Your articles should be on the latest trends of D&G designer. Focus on the current styles of the designer. If you’re writing during a summer season; for example, focus on summer dresses that fit your prospective demography. This will capture their interest and will let them share the resources with their friends and families. Online article marketing has a formula for success and that formula is link sharing. Whenever you write articles about your business, make sure to include links in your articles. The link will be to your website. Having your site’s link in your article will let your prospective customer click to your site at the end of the blog post, and take them to your website. A great way to market your business using online article marketing is to go to various forums within your niche and post about your business. This will let your business expose over social media platform and help generate many customers to your market. You need to add some social media buttons like a cute Facebook button or Twitter button at the bottom of your articles; they help announce your article to millions of people in a short time. Doing this will expose your business via the social media platform and generate many customers. As you can see, using articles to market your business doesn’t require a lot of experience. Online article marketing is easy and effective in not only exposing your business, but in generating more customers to your market. Follow this article marketing guidelines and apply them on any online marketing business of your choice – it will help grow your business successfully. Is Nigeria’s Haunting Corruption Brewing Revolution in the Mind of the Common Man?